I was having dinner with a group of girlfriends when they began discussing an individual we all know. No one’s description of this particular person was ev en close to kind. The words self-involved, arrogant and even mean were used to describe him. For the record, my friends aren’t a group of catty women. Not even close. They are some of the most intelligent, kindest and generous people I know. But they are also human, and humans get frustrated and vent. That’s exactly what my friends were doing. After several minutes, someone stated that this individual’s wife, also a well-educated and caring person, really loves him. “There must be another side of him that the rest of us don’t see,” someone said. Not everyone remembers the B side of 45 records, but I do. I was always fascinated by what song was on the B side. 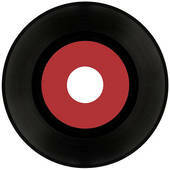 The song on the A side was the popular one being played on the radio – the one being promoted for commercial success. The B side was a song from the same album, which those of us buying the single usually didn’t own. I liked the B side because it was something different that wasn’t constantly playing on the radio, or, as I liked to think, something fewer people knew about. It was the song that was less common and that might not even fit with the public image of the artist. The B side disappeared with 45 records, but I think all people have a B side. Sometimes, the B side is one that they try to hide, like a charming community leader who abuses his wife. Sometimes the B side is the softer side that individuals may fear showing to anyone but close friends and family. Sometimes the B side is a behavior or characteristic that shatters stereotypes, like the football player who tends to his flower garden. And sometimes the B side is something the individual may be afraid to admit to himself. But here’s the truth about the B side: without a label, none of us can tell it from the A side until we actually start listening. So next time I start to make a judgement about other people, I’m going toy try to look beyond who they or others want me to see and start really listening instead. Posted on January 26, 2014, in My life, perspective and tagged behavior, human behavior, music, musings, nostalgia, People, perspective, Thoughts. Bookmark the permalink. 6 Comments. That is true. I have a B side that I only hint at occasionally. It is super awful, just things from my childhood that affected me badly, but I do not share in public. And yet our B side is as much a part of us as our A side, I don’t have 8 tracks but I do have cassettes! Trina, are both sides authentic? Good question.Like most things, it probably depends on the person. Always,,,life would be dull with just the A side.